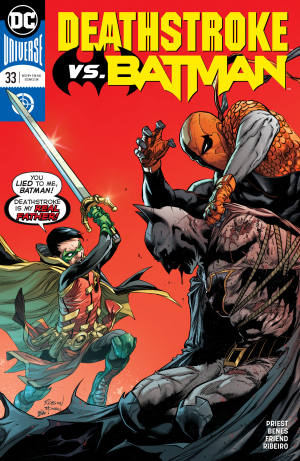 DC Comics Universe & Deathstroke #33 Spoilers: Deathstroke Vs. Batman Part 4 Becomes Slade Wilson Vs. Damian Wayne, His Son, Robin?! 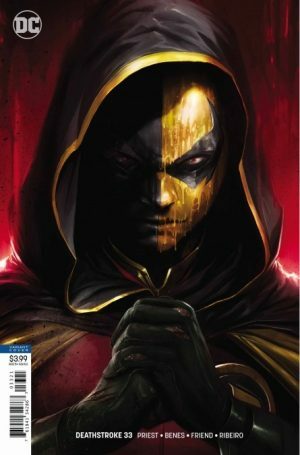 DC Comics Universe and Deathstroke #33 Spoilers follows. 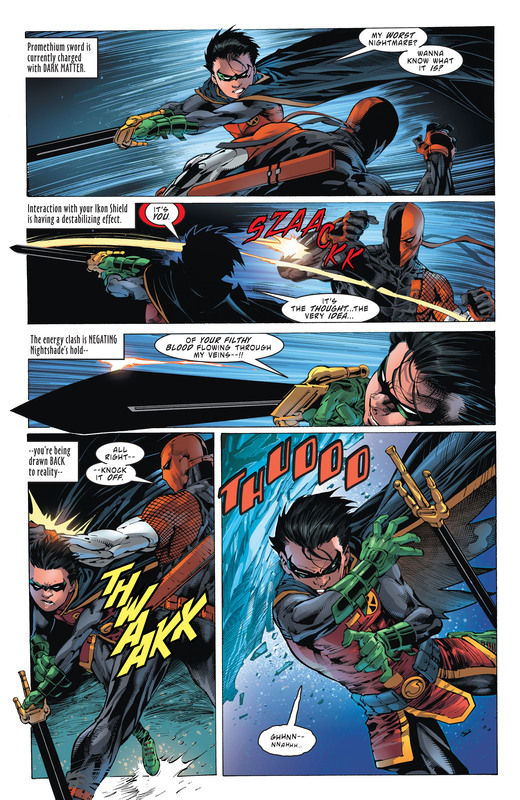 Deathstroke Vs. Batman Part 4 of 6 Becomes Slade Wilson Vs. Damian Wayne, His Son, Robin?! So, Damian Wayne aka Robin believes he is Slade Wilson aka Deathstroke’s biological son with Talia Al Ghul not Bruce Wayne aka Batman. 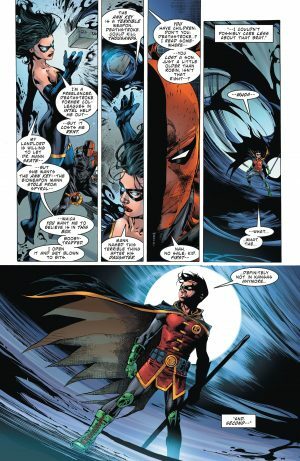 There appears to be some (forged) documentation that Damian believes is authentic. …Nightshade formerly of the Suicide Squad. 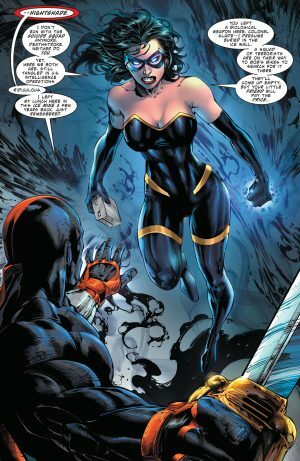 She is after the Ann Key a terrible weapon on a memory stick / USB key. 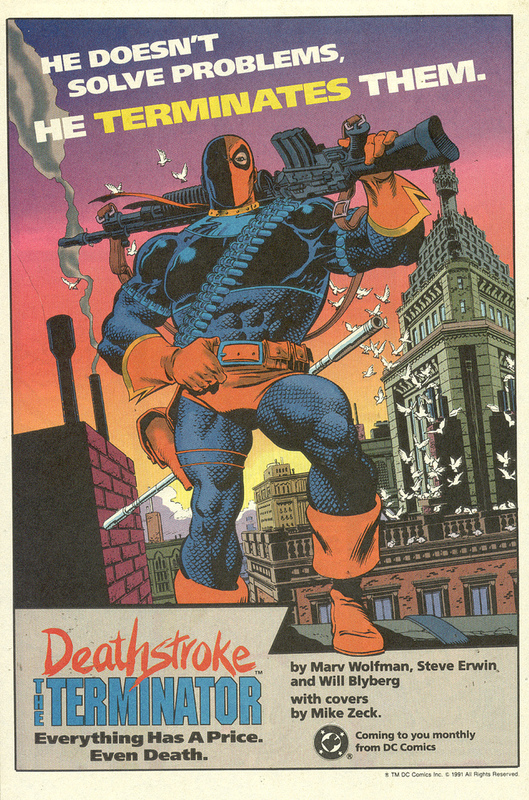 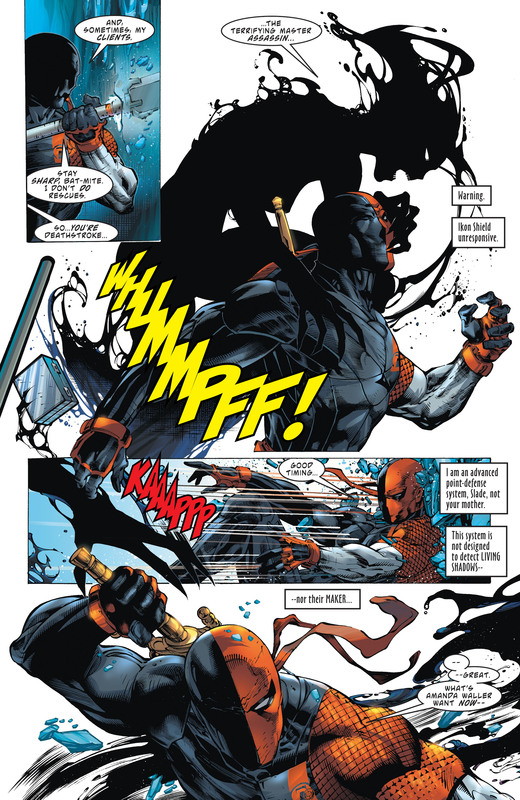 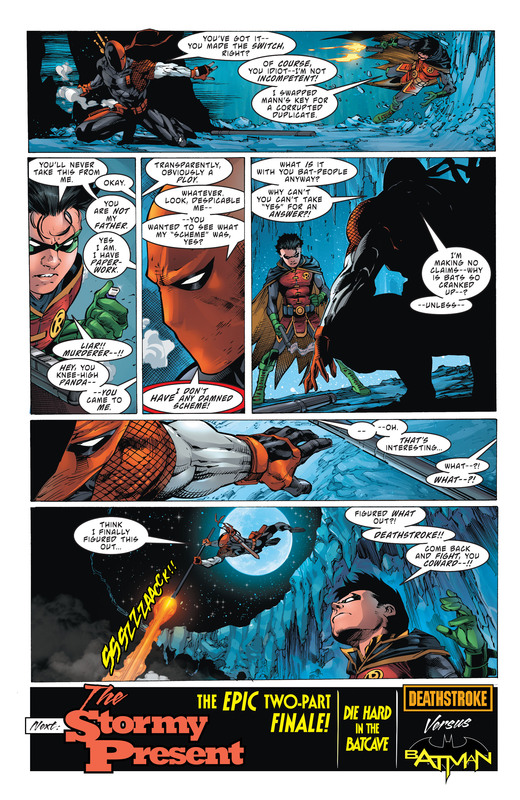 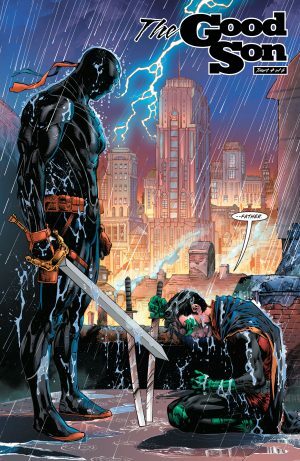 Nightshade’s dark powers bring Damian’s worst nightmares to the for and he turns on Deathstroke. …presumably who wants Deathstroke, Robin and Batman to think Damian’s real dad is the “Terminator”.